RADM Archibald Henderson Scales - PURPLE HEART AND MEDAL RECIPIENTS FROM NORTH CAROLINA & MORE "IF YE BREAK FAITH WITH US WHO DIE, WE SHALL NOT SLEEP"
Admiral Scales was a true Tarheel and rose up to become Superintendent of the the United States Naval Academy. The son of a Confederate Colonel Junius Scales and nephew of Confederate General and North Carolina Governor Alfred Scales...he lived up to his pedigree. Archibald Henderson Scales, U.S. naval officer, the son of Junius Irving and Euphemia Hamilton Henderson Scales, was born 14 April ,1868 in Greensboro,NC. He was the nephew of Governor Alfred Moore Scales and the great-grandson of Chief Justice Leonard Henderson. After attending the public schools of Greensboro, he received an appointment to the U.S. Naval Academy, from which he was graduated in 1887. He was commissioned an ensign in the navy in 1889. Scales first saw action at sea in 1895 in an engagement off Amoy during the upheavals in China. As head of a fire-rescue party, he directed the saving of the German steamer Tai Chiong, which was loaded with kerosene. The high degree of cleanliness that he later maintained on his ships is believed to have stemmed from this experience. 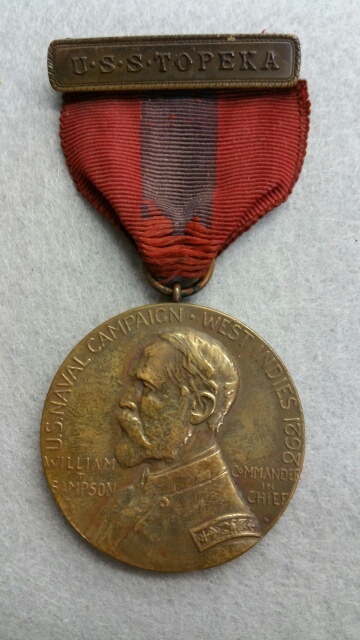 For his service in the Spanish-American War he earned the Sampson Medal. By 1906 Scales had risen in rank to command the USS Severn and then the USS Columbia. In 1907, as a lieutenant commander on the USS Missouri, he was chosen to go on the around-the-world cruise by a major portion of the Atlantic Fleet. This tour lasted until February 1909. Afterwards he served as chief of the Bureau of Equipment in the Navy Hydrographic Office in Washington, D.C. In 1910 he was transferred to the command of the USSHertford, Olympia, and other ships assigned to the Naval Academy, a post he filled until 1912 when he took command of the USS Prairie. In July 1913 he assumed command of the Receiving Ship at Norfolk and the Naval Training Station at St. Helena, Va., during which he attained the rank of captain. In that rank he commanded the USS Delaware from May 1916 to November 1918 and saw action in the North Sea as part of the British Grand Fleet duringWorld War I. 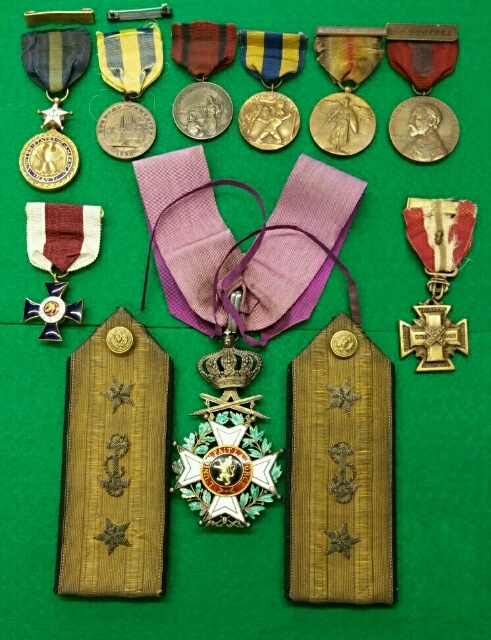 For this service he was awarded the Distinguished Service Medal and was decorated Commander of the Order of Leopold (Belgium). Archibald H. Scales (right) with the future King Edward VIII of the United Kingdom and future president Franklin D. Roosevelt far left, at Annapolis, November 14, 1919. 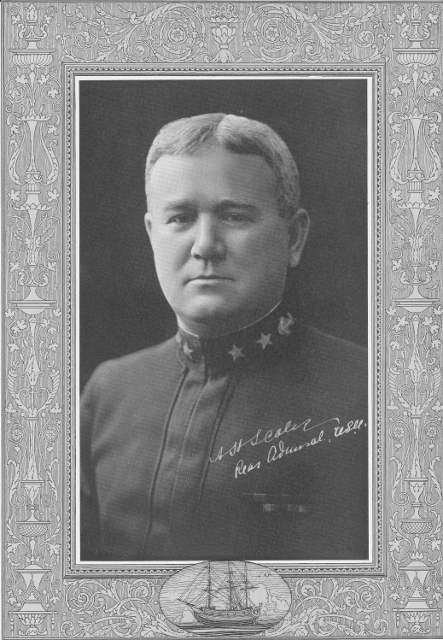 Image from the Library of Congress.After the war and until February 1919 Scales commanded the Great Lakes Training Station, where he was elevated to the post of superintendent of the Naval Academy. The temporary rank of rear admiral was granted him at this time but made permanent in June 1921. During his tenure at the Naval Academy, Scales effectively handled a hazing scandal, potentially a source of embarrassment, for which he was commended. In 1921, wishing to return to sea, he accepted the command of Battleship Division Five (the name was changed to Battleship Division One, Scouting Fleet, in 1922), after which he commanded the Fourth Naval District from Philadelphia from 1923 until his retirement in 1926. He retired to Greensboro and lived at Hamilton Lakes. Scales was appointed by Governor J. C. B. Ehringhaus to serve as a delegate to the Transylvania Celebration in Boonesborough, Ky., in October 1935. After a long illness, Scales died on 16 February, 1952 at the U.S. Naval Hospital in Bethesda, Md., and was buried in the Naval Academy Cemetery in Annapolis.